South Sudan President Salva Kiir is expected to sign a peace deal with rebels more than a week after refusing to do so, a presidential spokesman has said. The comments from Machar’s spokesperson come as the UN Security Council said that it would take immediate action if Kiir did not sign the agreement on Wednesday. Kiir is expected to sign the deal in Juba with the leaders of Kenya, Uganda, Sudan, and Ethiopia in attendance. Al Jazeera’s Anna Cavell, reporting from the capital, Juba, said the move was potentially very important and could change the lives of hundreds of thousands of people affected by the civil war. 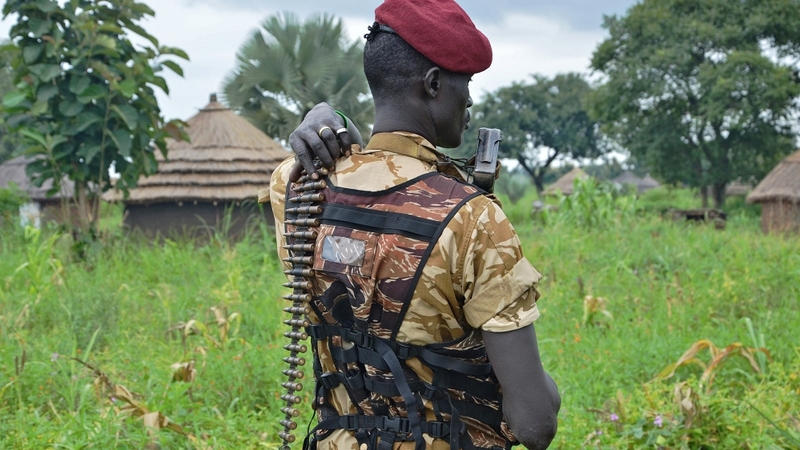 “However, some of the top commanders have split from [rebel leader] Machar, and they say the peace deal means nothing to them, so even if the peace deal is signed, it does not mean that it would end the fighting,” our correspondent said. South Sudan has been at war since December 2013, when a split within the security forces escalated into a violent rebellion led by Machar. The ethnic nature of the violence has alarmed the international community. A report by a UN panel of experts, made public on Tuesday, said both sides in the conflict between government forces and rebels have targeted civilians. It also said “the intensity and brutality of the violence” since April has been the worst in an “exceedingly violent conflict”. On Tuesday, Doctors Without Borders (MSF) said two of its staff members were killed in Unity state last week. Thousands of people have been killed. More than 1.6 million people have been displaced. The UN said that young girls have been raped and burned alive. Meanwhile, oil-rich South Sudan’s public debt has climbed from zero at its independence in 2011 to $4.2bn as of June. The report said the panel has started to investigate “the financing channels used by the government and the opposition to prosecute the war and into those individuals and entities who gain financially from the continuation of the conflict”.